Is there anything more frustrating than having somewhere to get to, whether it’s the beach on a sunny weekend or work on a week-day, and finding yourself stuck in traffic? If you’re filled with zen-like calm in these situations, we salute you; for some drivers, however, keeping their calm while sitting helplessly in queues of traffic is more challenging. From 2016, the distance driven by cars and taxis in Great Britain increased by 1.1% to a total of 254.4 billion vehicle miles (BVM). This was the largest annual estimate to date. For a comparison, in 1993 British drivers “only” travelled 210.1 BVM. 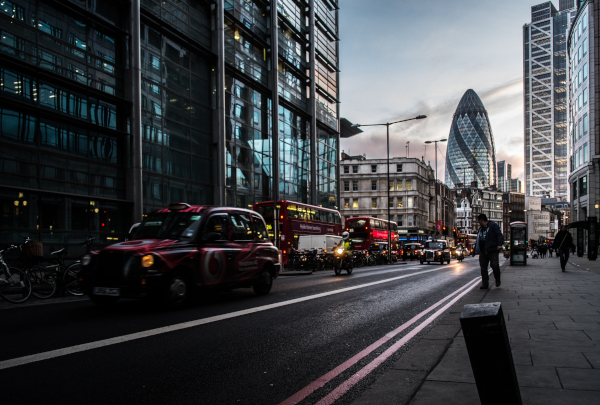 Although successive governments each try in their turn to reduce the amount of time we spend in our cars by introducing various public transportation schemes, the traffic on Britain’s roads doesn’t seem to be going anywhere in a hurry…and neither are we. It seems, at least for now, that traffic congestion is here to stay, so what can you do to help keep your temper during lengthy delays? Take a few minutes to consider the time of day you’re travelling and the likely traffic conditions. Is it the peak holiday season in a coastal region on a Saturday morning? Is it a Friday afternoon? Don’t just allow extra time on your journey for unforeseen delays, think ahead to the delays that you can predict. Factor these in to your departure time and you’ll feel much less anxious. If bad traffic wasn’t enough to put you in a bad mood, being tired makes it far more likely that you’ll feel stressed and impatient. Take care to get enough sleep the night before, and take regular breaks from driving, particularly on long journeys. According to the NHS, it’s recommended for adults to get approximately 7 to 9 hours of sleep a night. Sleepiness can decrease your reaction time, concentration and decision-making abilities which are all vital to driving. Although the precise number can’t be calculated, it’s estimated that driver fatigue could be a factor in up to 20% of accidents. It’s not just that going nowhere fast makes us short-tempered. What would happen if we broke down ourselves? Will we run out of fuel? Shouldn’t we have topped up the oil? Put your mind at rest before setting off on a long journey; make sure your vehicle is functional and safe. Things to check include fuel levels, correct tyre pressure and tread, oil levels, windscreen wiper fluid etc. Adjust your seat and headrest for maximum comfort before setting off, too. An aching back, arms, shoulders or legs will contribute to crankiness. We’ve all inwardly fumed when we’ve blithely ignored the sat nav’s warning about traffic ahead (“it’ll be fine by the time we get there!”), only to find ourselves sitting in a five-mile tailback, outwitted by our technology. Would it kill us to take the suggested detour? Even if it adds a little extra time to our journey? If you don’t have a sat nav, have a pre-planned substitute route in case your primary one is closed due to roadworks or an accident. When drivers around you are losing their temper, take satisfaction from being the one that remains civil and respectful, even if they aren’t to you. If you start to feel bad-tempered, take deep breaths to help ease your stress. Keep in mind that angry frustration won’t get you to your destination any quicker. Try to give other drivers the benefit of the doubt. They probably aren’t driving slowly in a thirty zone just to spite you; they may be unfamiliar with the area and looking for an address. On the other hand, someone driving really close behind you may be late for something important and have nothing personal against you. Whatever the provocation, tell yourself you’re the better driver because you’re not going to let it rattle you. “Are we there yet?” Make sure that children are suitably occupied to prevent them being a relentless distraction. This might take some advance planning, but depending on their age, audio books, movies, music, toys and variations on the “I Spy” game can all be useful. On the subject of children, make sure you set a positive example of driving to them. Your behaviour will influence their attitude to driving when they’re older. Music is proven to elevate your mood and can be a great stress-buster if you feel yourself getting irate in traffic. Be selective, though – avoid overly aggressive or sleep-inducing music and keep the volume to a reasonable level. 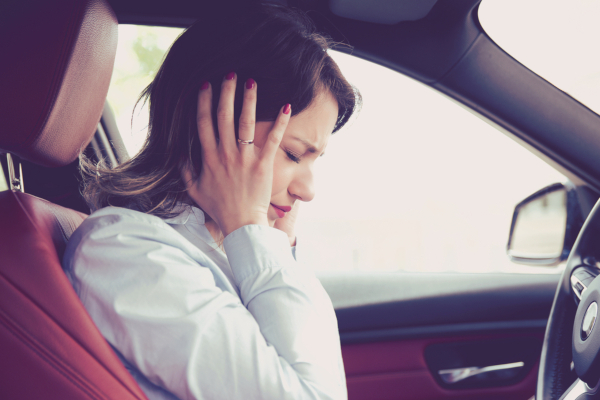 Calm drivers are likely to have fewer accidents, which makes insurance companies happy! Call us on 0800 997 8232 or use our online form for a quote that will put a smile on your face.